The latest AMD Navi rumours have pegged the next-generation of Radeon GPUs to an unveiling in June and a full release the following month in July. This is pretty much along the lines of what we’d come to expect from talking with AMD and its board partners about the release of its new architecture, but hey, it’s always nice have corroboration from another source. We had been told AMD itself wanted an early 2019 launch for the new mainstream cards, but AIBs told us at Computex last year that was unrealistically ambitious and that a mid-year release was far more likely. Given the imminent release of the Radeon VII GPU at the high-end of the red team’s graphics card range, backfilling with the mainstream silicon in the summer makes sense. The anonymous source, speaking to RedGamingTech, has explained that AMD’s Navi will not be announced until around E3 in June, with the cards actually being released to the world around a month later. We had initially expected a Computex announcement – especially as AMD has already told us that’s going to be the company’s big 2019 show – but this suggests that E3 might be bigger on the graphics side. Computex runs from May 28 to June 1, and this year E3 starts on June 11 and finishes on June 13. AMD seemingly hasn’t put a lot of work into E3 in the past, but as the biggest gaming event on the planet it would be a great place to launch your first affordable, mainstream graphics card in many a year. Seriously, as much as I liked the RX 590 for what it did, it can’t really be described as a new card. It is possible we’ll have a little teaser at Computex a week or so ahead of E3, right at the end of May. We’re expecting AMD to use that as the big reveal for the new 3rd Gen Ryzen (Ryzen 3K? I like it) processors, and it might make sense for the red team to want to separate its two biggest launches of the year to allow them both time to shine on their own. Having new CPUs unveiled at the massive Computex tech show, then revealing its new GPUs at E3, the biggest games show, has a certain ballsy aesthetic that I can’t help but admire. AMD is certainly in a confident mood at the moment, and the potential for it to own both shows from a gaming hardware point of view must be hugely tempting. 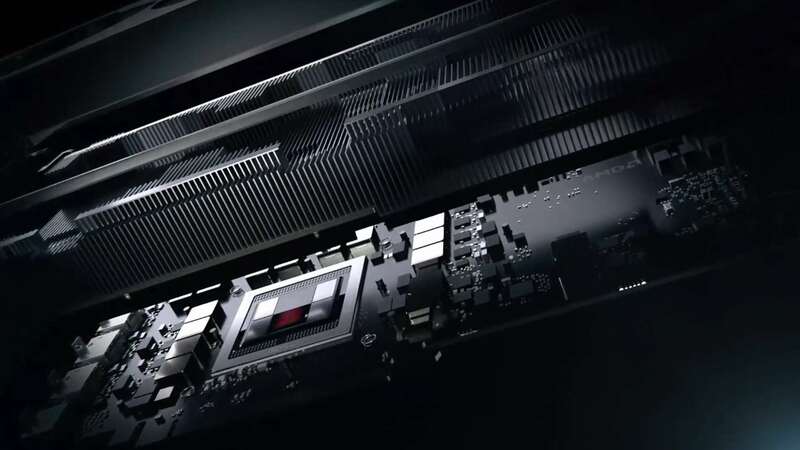 With Intel and Nvidia unlikely to have anything as big to announce themselves the stage is set for AMD to make a whole lot of noise with great new gaming hardware this summer.